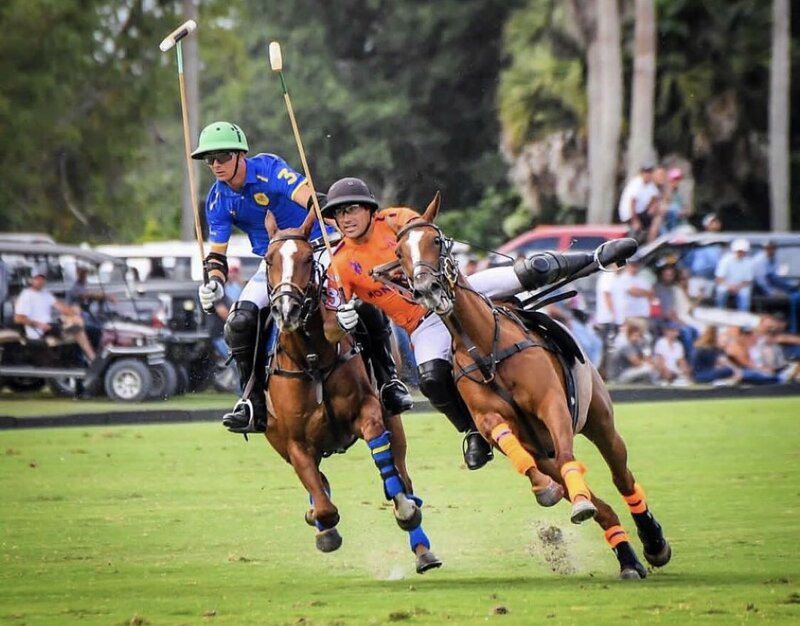 An exciting conclusion to the second round of the CaptiveOne U.S. Open Polo Championship® featured a 13-12 overtime victory for Aspen against Santa Clara, while Daily Racing Form held on for a 13-12 victory over Park Place at the International Polo Club Palm Beach. 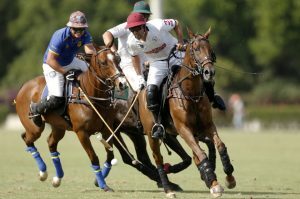 Holding the advantage throughout the game, Aspen used an accurate team attack to overwhelm Santa Clara and control possession up until the final chukka. Mariano Obregon was exceptional for Santa Clara, scoring four of five field goals for his team, while forcing Aspen into late foul trouble to lead the comeback attempt. 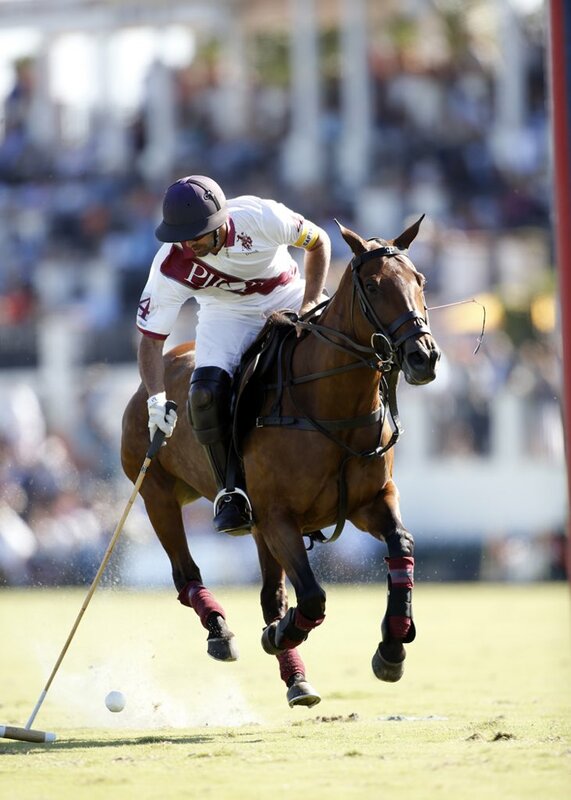 Aspen took an early lead behind Polito Pieres, who contributed on every Aspen goal in the first half, finishing with four goals and two assists. 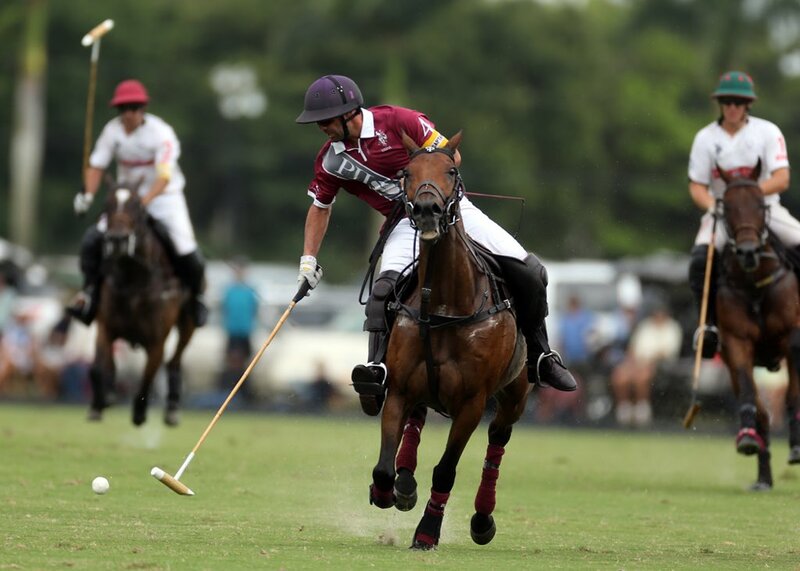 A strong showing from Tomas Schwence displayed a good defensive effort that limited Santa Clara to 2 for 7 shooting from the field over the opening three chukkas. Schwencke helped the transition into offense to begin the second half, adding two assists on goals from Polito Pieres and Lucas James, extending Aspen’s lead to four. 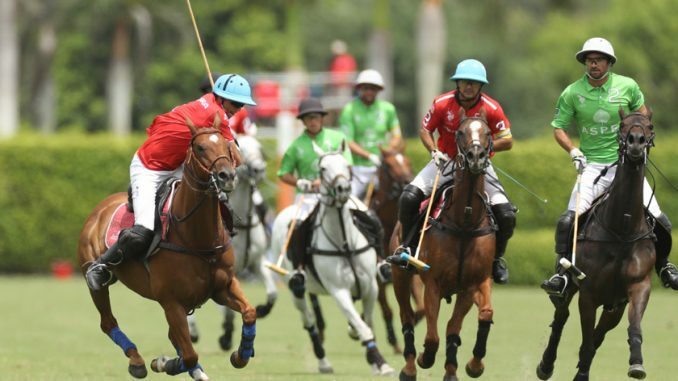 Maintainiing their lead into the final chukka, the outcome was all but sealed until Santa Clara began to receive penalty attempts in a tense final chukka. Converting all four penalty attempts to finish a perfect 6 for 6, Ignacio Toccalino helped bring Santa Clara back into a tie, with Obregon crucial in forcing Aspen into late fouls. Early into overtime, an Aspen drive ended in a foul in front of goal against Santa Clara, which Pieres tapped through on a Penalty 2 attempt to avoid the comeback and claim the exciting 13-12 victory. The final game of the day produced another game that came down to the final minutes, as Daily Racing Form held off Park Place for the victory. A quick passing attack for Daily Racing Form had all four players rotating forward at different times, frustrating the Park Place defence. Dominance from the throw-in line by Jared Zenni, winning the first five throw-ins of the game, kept the possession with Daily Racing Form as they built a 3-1 lead. 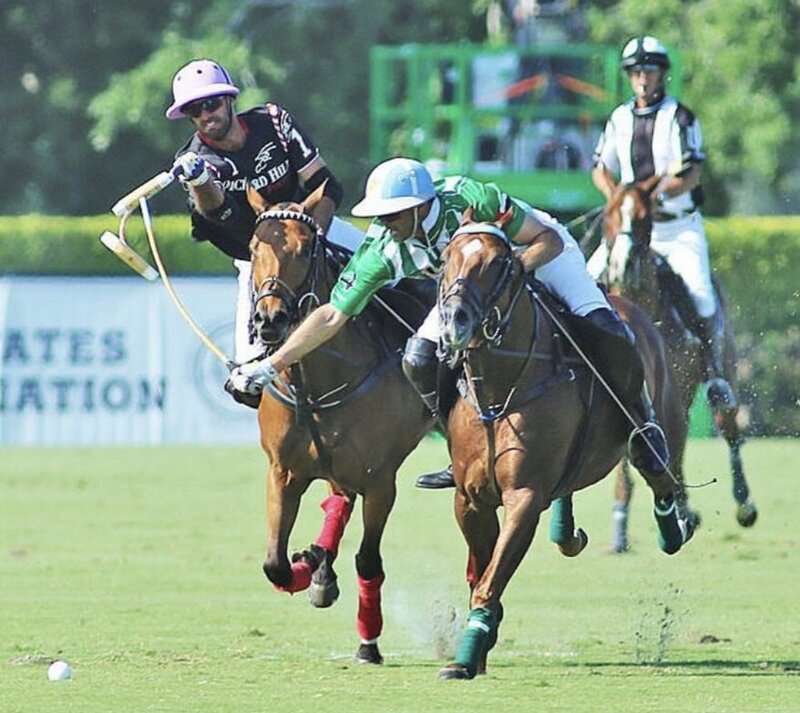 Nico Pieres and Juan Britos fought to bring Park Place back within reach by the end of the half, but Lucas Diaz Alberdi and Andrey Borodin were left uninvolved with Daily Racing Form swarming the elite duo to hold an 8-5 lead. Park Place began to utilize the pass to begin the second half, opening the game in a fast pace that resulted in six combined goals, with each team claiming three. 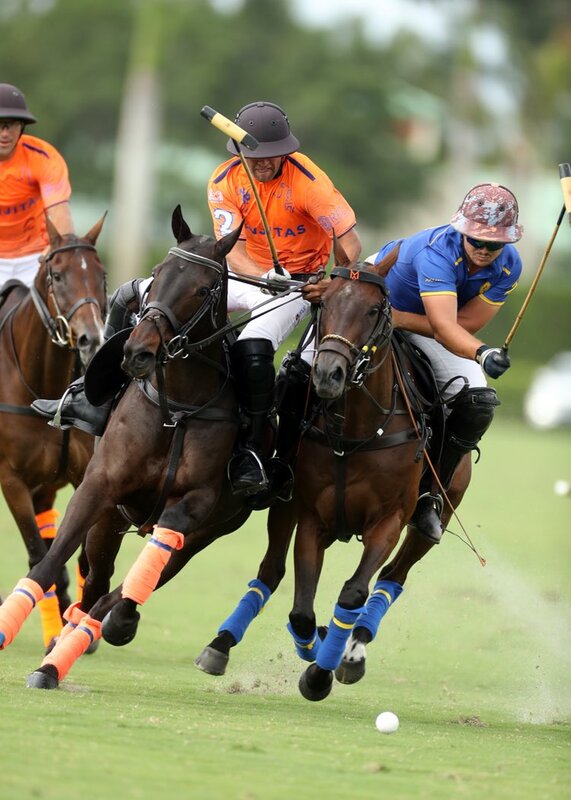 The fifth chukka saw Park Place begin their comeback behind two penalty conversions for Pieres, but the Daily Racing Form team were able to adequately manage their lead from start to finish, highlighted by Agustin Obregon’s fifth goal of the game to seal the one-goal victory.